getting a home or mobile internet connection. The full service providers normally offer best service, assortment and speed range. They normally charge fixed rates, which start at around €20 per month. What are the different types of high speed internet services? Cable operates over coaxial cable TV wires and provides download speeds up to 100 Mbps. Advantages: Cable is much faster than DSL, Dial-up internet and satellite, and more widely available in Vienna than fiber optic broadband. Disadvantages: In most cases, the available bandwidth is shared with others in your neighborhood. This can slower down the internet service, if a lot of people are using this high speed internet at once. Satellite, no matter where you are, offers speeds of up to 15 Mbps down and 3 Mbps up. To be fair this type of high speed internet is barely used in Vienna, since coverage of the other types is basically at 100%. Disadvantages: It’s both slower and more expensive than cable for example. Fiber optic service (FiOS), the latest in internet connectivity types, operates over an optical network using light. Fiber optic lines are as thin as human hair! Disadvantages: It is very expensive, compared to all other options. How to choose the best internet service provider? Are you downloading or streaming a lot? Are you more like a fair-weather browser? 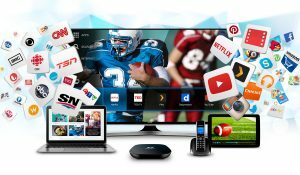 Do you need TV channels from your home country? Do you like to watch movies or sport in HD? Some service provider require you to rent a modem/router (2 in 1) or buy it yourself. Most providers in Vienna charge you for the installation. Most providers always discount their services if you package it with television and/or phone service. Discount is granted only for 3 months or 6 months at the most, so be sure to compare costs including after the bundle expires as well. Contracts can be assigned for 12, 18 and 24 months, the longer the contract lasts the cheaper your monthly fees are! Also check probable service limitations, which can be data caps – limiting the amount of data you can use per month – or restrictions on the kinds of activities you’re allowed to do, for example running a webserver, extras and add-ons.